Cases regarding relief from judgment and putative marriage. Personal injury proceeds, Child’s choice of parent, Equitable estoppel and paternity, Cohabitation and alimony and more. Modifications to legal custody or physical placement contingent upon a future event. In this month’s FLU, there is a report about a bill to all modifications to legal custody or physical placement contingent upon a future event. Both proposals are approved by the Family law Section of the State Bar of Wisconsin and would be improvements to existing law. Please review them and if you agree, call or write your state representative and state senator urging their support. This month I talk about proposed legislation to amend the child removal statute. On October 24, 2017, the District I Court of Appeals issued their opinion in Wenzel v. Wenzel, No. 2016AP1771, which affirmed in part, reversed in part and cause remanded with directions the orders rendered by the Honorable Paul R. Van Grunsven (Milwaukee County). Shirley and Jeffery were married on February 10, 2002. Shirley filed for divorce on April 1, 2014. A trial was held on July 2, 2015; however, after the noon break, the parties advised the circuit court that they had reached a settlement and a divorce was granted. On July 21, 2015, the circuit court issued its written findings of fact, conclusions of law, and judgment. On December 31, 2015, Jeffrey filed a motion for relief from judgment. He asserted that, subsequent to the entry of the divorce judgment, Shirley had turned over financial records to him that during the pendency of the divorce action she had claimed not to possess, the records were in her sole possession, and such records would have resulted in a different property division if he had them at the time of trial. Shirley filed a motion to dismiss and a motion for sanctions. After several hearings, the circuit court issued an oral ruling denying Jeffery’s motion for relief from judgment and Shirley’s motion for sanctions. Jeffrey appealed and Shirley cross-appealed. Jeffrey contends that, in denying his motion for relief from judgment, the circuit court erroneously exercised its discretion and erred as a matter of law because it added new requirements to obtain relief. The circuit court did not see anything in Jeffery’s discovery requests putting Shirley on notice that the box full of account documents were in plain view, should have been disclosed, or turned over to Jeffrey. In essence, the circuit court found that Jeffery was not diligent in seeking the documents. In addition, the Court of Appeals interpreted the circuit court’s decision as finding that the account records were not material because Jeffery’s problem at trial was his inability to prove that the funds had been gifted, and the account records did not remedy that proof problem. Thus, the Court of Appeals found that the circuit court’s findings and conclusions with respect to Jeffrey’s lack of diligence and the fact that the records were not material were the basis for the Court of Appeals to uphold the denial of Jeffery’s motion to reopen. Additionally, the Court of Appeals concluded that the circuit court did not create a new burden, but instead, attempted to address the myriad of legal theories proffered by Jeffery. Shirley maintained that the circuit court applied the incorrect legal standard in denying her motion for sanctions because it applied the test applicable to requested contribution to attorney fees and costs in a divorce action rather than applying the test for sanctions for frivolousness. Here, the Court of Appeals could not sustain the circuit court’s ruling because it failed to apply the proper standard of law to analyze Shirley’s sanctions motion. Therefore, the Court of Appeals reversed that part of the circuit court’s order denying Shirley’s motion for sanctions and remanded for consideration of that motion under the correct legal standard. On October 24, 2017, the District III Court of Appeals issued their opinion in Xiong v. Vang, No. 2016AP1281, which affirmed the orders rendered by the Honorable Thomas J. Walsh (Brown County). Xiong petitioned for divorce from Vang in May 2014. Her petition alleged the parties were married in September 1980 at Ban Vinai, a refugee camp in Thailand. Vang subsequently moved to dismiss Xiong’s divorce petition, contending the parties were never legally married. On January 23 and July 6, 2015, the circuit court held evidentiary hearings regarding the validity of the parties’ marriage. The circuit court concluded that the parties had a putative marriage that should be accorded recognition under Wisconsin law. The circuit court ultimately entered a judgment of divorce on June 6, 2016. As relevant to this appeal, the court equally divided the parties’ divisible property including a home that Vang purchased in 2008, following his purported marriage to Patty Vang. The circuit court awarded the home to Vang and in order to offset that award, the court assigned to Vang approximately $44,000 in student loan debt. The court also ordered Vang to pay Xiong maintenance for an indefinite duration. Vang appealed. Vang argued that circuit court erred by determining he and Xiong had a legally recognizable marriage. Due to the deficiencies in Xiong’s argument, the Court of Appeals declined to hold that Vang and Xiong were legally married because their marriage was valid under the law of Laos, their country of domicile. Instead, the Court of Appeals concluded that, based on the facts found by the circuit court, their relationship should be accorded legal recognition as a putative marriage. Here, Vang and Xiong’s marriage was solemnized in proper form – that is, a traditional Hmong marriage ceremony – and was celebrated in good faith by both parties. Based on these findings, the circuit court correctly concluded the parties’ relationship qualified as a putative marriage. Vang alternatively argued that, even if the parties’ marriage was valid, the circuit court erroneously exercised its discretion with respect to property division. Vang’s main argument on appeal was that the circuit court erred by concluding the Richborough Road residence was subject to division. Vang argued the court should have concluded the parties were putatively divorced on March 15, 2005. Because the Richborough Road residence was acquired after the date of the parties’ putative divorce, it was not subject to division. This argument failed for two reasons. First, Vang did not cite any authority recognizing the existence of putative divorce as a legal concept. The Court of Appeals need not consider arguments that are unsupported by citation to legal authority. Second, it failed as a factual matter. Here, the parties filed a joint tax return for the year 2005 and in November 2012, Vang and Xiong executed a deed as husband and wife. Vang’s final argument on appeal is that the circuit court erred by awarding Xiong maintenance for an indefinite duration. Here, the circuit court addressed each of the factors before awarding Xiong maintenance. Five of the statutory factors were particularly relevant to the court’s decision. Ultimately, after considering each of the statutory factors, the circuit court concluded the fairest course was to equalize the parties’ incomes and award Xiong maintenance for an indefinite period. In this case, the circuit court did not erroneously exercise its discretion by determining that other factors – particularly Xiong’s limited earning capacity and her contributions to Vang’s education and career – outweighed the fact that the parties were separated for several years before Xiong filed for divorce. The following cases are provided courtesy of Contributing Editor Laura Morgan, Family Law Consulting. Laura is available for consultation, brief writing and research on family law issues throughout the country. She can be reached through her Web site or via e-mail. Please Note: Most decisions are posted in Adobe Acrobat (PDF) format. Wife, as person claiming, in action for dissolution of marriage, that some or all of personal injury settlement proceeds she received from drug company during parties’ marriage, following stroke she suffered while taking medication, were nonmarital, met burden of presenting evidence that all or a portion of proceeds were specifically allocated to her purely personal losses; wife presented her own testimony, testimony from her mother, evidence from her treating physician as to nature and extent of her physical injuries, and evidence of future lost earnings. Father failed to establish existence of substantial change in circumstances warranting downward modification of his child support obligation; father failed to present competent medical evidence in support of his testimony that diagnosis of bipolar disorder interfered with his ability to obtain gainful employment to meet his child support obligation. Increase in father’s income of more than 15 percent, once he began collecting Social Security benefits in addition to his salary, was sufficient, by itself, to permit Family Court to modify his child support obligation without a showing of a substantial change in circumstances. The fact that the children expressed a desire to live with mother and one child had reached 14 years of age did not constitute changed circumstances warranting modification of the parenting plan for the two children; the parties’ parenting plan had recently been revised after substantial litigation, and, without more, mother’s showing of alleged changed circumstances amounted to a return to the core issue that mother desired to have the children move with her to California. Father’s alleged newly discovered evidence, demonstrating that child’s condition somewhat improved and his expenses somewhat decreased after order granting mother’s petition for upward modification of father’s child support obligation, would not have produced different result, and thus did not support father’s motion to vacate. 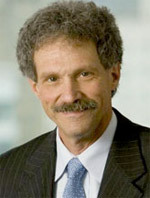 Marshall P. v. Latifah H.
Family Court appropriately applied equitable estoppel in adjudicating putative father’s paternity of subject child, despite another man’s prior execution of acknowledgement of paternity, as record established that mother permitted putative father to hold himself out as child’s father, that the putative father had supported the child for most of the child’s life, and that putative father exclusively took care of child during a period when the mother was incarcerated. Non-resident putative father’s failure to timely register on the state putative fathers registry was statutory ground for severance of his parental rights, and his failure could not be excused by a factual scenario involving deception and misconduct by mother and adoption agency along with putative father’s filing of a paternity action and his registration on a putative fathers registry in the mother’s home state; the statute provided a bright line rule in order to balance the interests of putative father, infants, and adoptive parents, and failure to comply with the bright-line rule would require courts to make individualized, post-adoption determination of the reasonability of father’s conduct thus undermining the finality of adoptions. Ex-wife voluntarily cohabited in a meretricious relationship with her boyfriend, and thus ex-husband was entitled to a reduction in alimony under the ‘live-in lover’ law, where ex-wife’s relationship with boyfriend was sexual in nature and ex-wife shared a household and related expenses with boyfriend. SB-448 Custody Modifications (Olsen, Luther) Modifications to legal custody or physical placement contingent upon a future event. This bill was assigned to the Senate Judiciary Committee. This bill will be modified slightly to address some newly raised concerns by Legal Action of WI. They have requested we narrow the ability to assign contingent placement in situations of domestic violence and abuse. The subcommittee met on Oct. 24, 2017 to discuss amendatory language. The following is provided courtesy of Contributing Editors Stephen Hayes and Elizabeth Neary of Grady, Hayes & Neary, LLC, Waukesha, WI. They can be reached at (262) 347-2001 or via e-mail. Although Wisconsin has a relatively clean history with respect to particularly birth mothers scamming the system and adopting parents, it doesn’t mean that those involved in the adoption process should let their guards down. Recent examples include a birth mother who had worked with multiple adoption agencies and adopting parents in order to obtain living expenses from more than one source. There also have been recent cases in which it was suspected that a pregnant birth mother created an adoption plan and worked with an adoption agency without a clear intent to place, but instead sought to obtain living and other expense payments. Permitted expenses are listed in Wis. Stats. §48.913. For example, living expenses are capped at $5,000 and, if it includes rent for a living unit, payments for such expenses should be made not to the birth mother, but instead to the landlord after examination of a lease. Payment or receipt of inappropriate expenses may result in criminal prosecution of both the birth parent and the adopting parent. Overly aggressive requests for payments by a birth mother raise a yellow flag. If there are any questions about the appropriateness of certain payment requests, the subject should be discussed with the adoption agency and legal counsel. The Standard of Care for Attorneys: What’s a Reasonably Prudent Lawyer to Do – Or Not Do? For ordering or subscription information (the current issue may not be available yet), visit the Family Advocate Web site. Gregory J. Ksicinski, CPA/ABV, MSTSVA Certified Public Accountants, S.C.
We Thank Them for Their Contributions!